If you happen to be a comedy lover, then you would certainly be in love with Tracy Morgan. He is a famous American actor, voice actor, and comedian, best known for his stand-up comedy shows including Saturday Night Live and 30 Rock. Tracy Jamal Morgan was born in the Bronx, New York in the United States on November 10, 1968. He is the second child of Alicia and Jimmy Morgan. His mother is a homemaker while his father is a musician and a veteran who returned from the Vietnam war. Morgan was raised along with his other siblings in Bedford, Brooklyn. While growing up, Morgan attended DeWitt Clinton High School and when he was seventeen, the young comedian was informed that his father had contracted AIDs from the use of a hollow needle. Life wasn’t easy for Morgan, he got married to his girlfriend Sabina and also became a drop out so he could take care of his father. Unfortunately, Jimmy passed away in November 1987 at the age of 39. 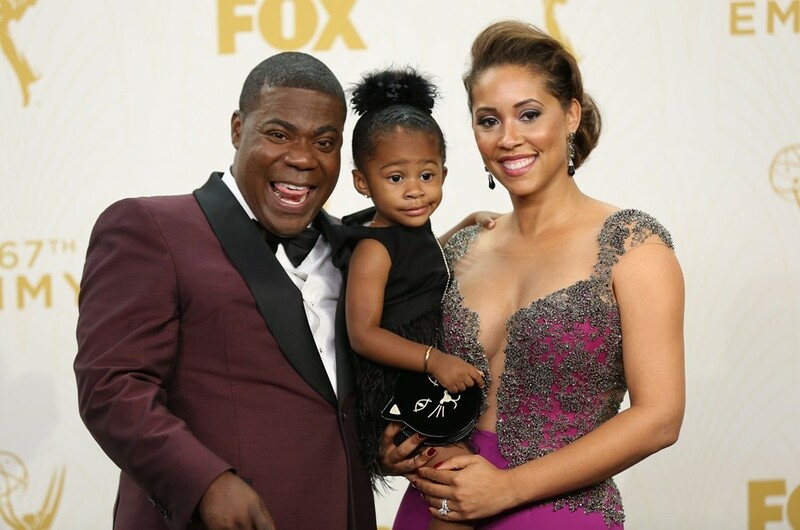 Tracy Morgan continued to struggle in order to earn a living and carter for his family. He indulged in so many things including selling of crack cocaine in his neighbourhood as well as performing comedy shows. After his best friend was murdered, Morgan left drug business and ventured fully into stand up comedy. Morgan started his comedy career in his early twenties, he performed stand-up comedy in clubs as well as theatre such as Harlem’s Apollo Theatre. He got his breakthrough when he joined the cast of the sitcom titled Martin from 1994 to 1996. 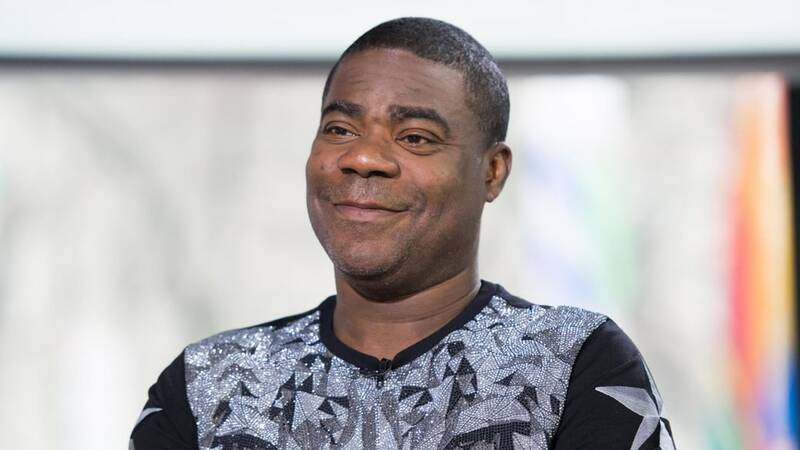 Subsequently, he appeared in the Saturday Night Live from 1996, leaving in 2003 to host his own show titled The Tracy Morgan Show that aired on NBC. In 2006, Tracy became the star of the comedy series titled 30 Rock, a fictional comedy show created by his co-star Tina Fey. The series garnered much popularity and earned positive reviews which led to his nomination for the 2009 Emmy Awards. He was nominated for the best supporting actor in a comedy series category. Later on, he made a guest appearance on the Saturday Night Live Christmas show that was hosted by Jimmy Fallon in December 2011. He also hosted an episode of the show in 2015 and has appeared in other comedy shows including Crank Yankers, Where My Dog At?, One Mic, and Animal Planet comedy series Tanked. Aside from comedy, Tracy has earned some significant roles in movies and has starred in several films. Some of them include Half Baked in 1998, 30 Years to Life in 2001, Head of State in 2003, Superhero Movie in 2008, Cop Out in 2010, Top Five in 2014, and Fist Fight in 2017. Falling in love is a beautiful thing but sometimes it can be sweet and sour at once. However, the best marriage stands the test of time amid difficulties. During high school, Tracy Morgan had a girlfriend whom he loves so much; her name is Sabina. The duo dated for a while and later tied the knot in 1987. They are blessed with three sons – Tracy Morgan Jr, Gitrid, and Malcolm Morgan. However, when things started going awry, the couple were apart for almost eight years; Morgan decided to file for a divorce in August 2009 and they later got separated. Later on, Morgan announced his engagement to an American model named Megan Wollover. During the 2011 Emmy Awards red carpet, he disclosed that he and Megan had been engaged six months earlier in San Francisco. The couple welcomed their daughter Maven Sonae Morgan on July 2, 2013, and they finally tied the knot on August 23, 2015. The happy couple has been living together with their four kids and there is no sign of divorce at the moment. Back in 2014, Tracy Morgan was involved in a fatal accident that took the life of a fellow comedian named James McNair. Both celebrities were in a limo bus coming back from Morgan’s tour before they got hit from the rear by a Wal-Mart Tractor-trailer on the New Jersey Turnpike. The impact of the accident was so harsh that Morgan and James were left in a near death situation. James died at the spot while Morgan sustained serious injuries of a broken leg, ribs, and nose. Furthermore, according to Washington Post, Morgan was in a coma for two days after which he suffered partial memory loss and didn’t remember what has happened. The accident also affected Morgan’s acting and comedy career and kept them on hold. Since the unfortunate incident, Morgan hasn’t performed publicly despite being fully recovered and has settled with Wal-Mart. The American star has amassed a huge wealth since the inception of his career. Morgan is living a lavish lifestyle with a whopping net worth of $50 million. He earns his fortune from his comedy career as well as his acting and books. The talented comedian has received wide recognition for his witty and amazing comedy lines; his major influences include Eddie Murphy, Carol Burnett, Martin Lawrence, Richard Pryor among others. Tracy has also authored some books including his autobiography titled I Am the New Black. Morgan is a very social person and you can also connect with him via Facebook, Twitter, and Instagram.